along with Facebook status updates. 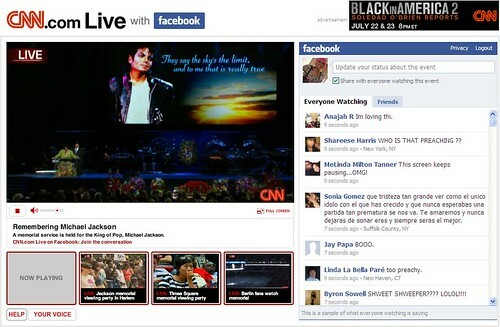 The Michael Jackson memorial service held earlier today was monumental. Not only because of the revolutionary life it honored, but also because it marked one of the first major events to garner world-wide interest since the Internet went mainstream. As people turned to their social media networks to share thoughts and feelings about the memorial and Michael, the reach and influence of social media was in full display. The ever-growing popularity of social media and its constantly updating content was noticed early by marketers as well as developers. In the last few months, the SEO community has witnessed a crop of real-time search engines springing onto the scene. You can find reviews comparing the various search sites across technology news and blog sites. And search marketer David Harry looked at the performance of several real-time search engines next to the big three, concluding with an SEO recommendation that basically amounts to “don’t worry about it”. Real time search is still something that hasn’t been effectively conquered from a technical and critical mass vantage point. As such, it shouldn’t be a serious consideration for any SEO beyond the potential for buzz monitoring. Today’s renditions of real-time search are actually aggregators of social media mentions. And users get all the noise and irrelevant results they could hope for; at the moment, spam filters are non-existent for most of these engines and result order is usually based on what’s most recent. When it comes down to it, a comparison of real-time search to today’s traditional search is akin to pitting expediency and speed against reliability and authority. Even before real-time search became the buzzword bingo word of the minute, search marketers all subscribed to Google Alerts to get a heads up on mentions of brands or power keywords. Thing is, such results are typically littered with rubbish and often required a fine tooth comb and a monocle to find any hidden gems. 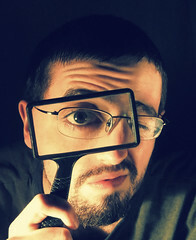 At best, real-time search engines are buzz monitoring tools. At worst, they could signal a backwards step for search kind. What I think real-time search does offer is a popularity litmus test. SEOs looking to gauge interest in timely topics can turn to social search for a quick review of the collective mind. But when it comes to rest of the Web search legwork, I’ll take my relevant, spam-free traditional search, please. Thanks, Lydia. I guess rather than “don’t worry about it”, it’s more a matter of what can even be done to optimize for social/real-time search? I don’t know of an effective way to optimize a site for this channel. I suppose one way to approach real-time search is to stay active in social communities — which is what progressive marketers have likely been doing all along. Totally agree to the novelty affect of real-time and social search. The online fads today could be gone or corrected tomorrow. But, for the moment, however brief the novelty may be, this immediate information is catching visitor attention. It’s not to be ignored. I disagree with “SEOs are best to watch from the wings” or the “don’t worry about it” approach. Dave, I hear ya. You just summed up all the complications with real-time search, including the social participation factor and how social/real-time search misses out on a lot of authorities and resources. Thanks for your post on the topic and keeping your SOSG readers in the know. And, of course, thanks for adding to the convo here! Hiya Virginia, tnx as always for the luvin’!! It really is an interesting topic.. since writing that a few contenders have contacted me to state their case.. It’s interesting that last year the catch phrase was ‘social search engine’ and this year that’s morphed into the ‘real time’ phenomenon. Beyond the fact that there is no such thing as ‘real time’ as that’s a misnomer, the problem of authority/value and spam still remains. If any of these so-called ‘search engines’ actually became popular enough to catch spammers attention, how do they intend to deal with them? Google came up with the whole ‘query deserves freshness’ (QDF) to get past the problem of slow link velocity for newer documents… but even they are wary of indexing TOO fast as spam becomes a serious usability issue. And let’s look at social – are ALL of the authoritative people/resources on the web participating in the social web? I dare say a great many wonderful resources never find their way onto Twitter and as such, a traditional engine has a leg up quality wise (depending what U R looking for). I agree with your skepticism about real-time search, but there is a viable way to do this. You can build a database of blog and social media sources, and rank them based on Pagerank, links, etc. Then assign that rank to any search result from that source. We apply this model to Google Alerts with our free add-on at http://www.alertrank.com. It solves the problem of relevance you point out with alerts. It depends on what you want to use search results for. If you want to track buzz, then general statistical keyword trends are probably best. If you want to find specific leads for commenting and link building, than the ranking model is most effective in my experience. You hit the nail on the head, Virginia. One of the biggest drawbacks to real-time search is the lack of ability to establish accuracy, trust or authority. Aside from filtering the sources being used to populate the results, providing real-time results negates the possibility of offering reliable information consistently.